Canon consumables division has announced! 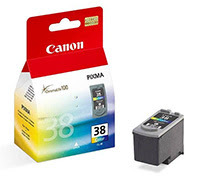 Industry reports that Canon will raise wholesale prices on inkjet cartridges average of 11% and laser toner cartridges will see prices jump by an average of 6% on July 1st . If you plan on keeping your printer you may want to stop up and save some money. As long as the products are not opened and removed from retail packaging, they can be returned to PriceLess Inkjet Cartridge Co. within 6 months for exchange or refund. We bring this information to our customer’s attention as a service. Have a great summer, stay cool and enjoy the holidays.